Does This Glass Shattering On A Ouija Board Prove Poltergeists Exist? This is the moment a glass was mysteriously shattered, allegedly by a poltergeist. The incident was captured by YouTuber Mellowb1rd, who posts ‘horrific poltergeist activity caught on tape’ to his channel on the site, the Daily Mail reports. 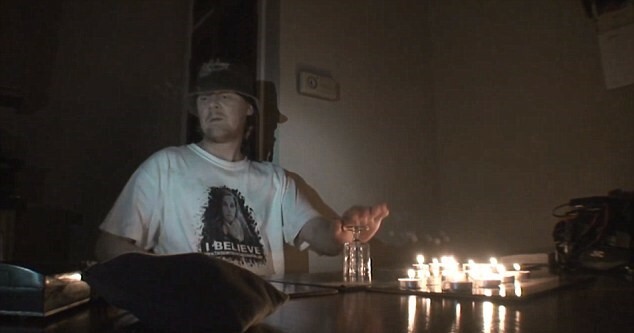 In the video the ghost hunter goes to put his hand on a glass – which sits on top of a Ouija board – and it shatters beneath him.